Hello earth warriors! I am super excited to share this post and introduce you to some of the Zero Waste bloggers that I've been stalking and learning from in my zero waste / reusable revolution journey! I am like most people on the internet, getting bombarded by all these tragedies and worthy causes being posted on my social media feeds. I read all the horrible statistics of pollution and it all feels so much bigger than me. I understand the feeling of deeply caring about these issues but feeling too overwhelmed to act. How do I help? What real difference does it make? Do i even have time or resources to make change. And it's not easy to make the switch to being zero waste in our society. I'm not sure what exactly triggered this mindset but I suddenly understood very clearly that, although I may not be perfect on this journey, I could no longer just do nothing. And after watching videos and reading blogs from the people below, I see that even awareness is a big step forward. Once I started being really aware of how plastic is a seamless and mindless part of our lives, I started to look for ways I could change my own behaviors to reduce my waste. In my Reusable Revolution blog post, I told you about my passion project BYOTOGO. It started out as just an idea for an instagram account to encourage people to bring their own reusable beverage containers. Shortly after starting the account something crazy happened... I had only followed around 6 zero waste accounts when one of them sent me a DM saying that she recognized my BYOTOGO mission. She didn't recognize it from my blog post but recognized it because she created a profile and blog with the EXACT SAME NAME! Her name is Megan and she lives in NYC! After a crazy phone call ( we literally made the profiles around the same time. FREAKY! ) we have decided to join forces and use our locations as coast to coast reusable influence for BYOTOGO. These things don't just happen for no reason, right?! Mind. Blown. Check out the BYOTOGO blog HERE. And follow the *New* @BYOTOGO Instagram ! Start your own journey with tips from these amazing Zero waste queens ! These are true examples of what dedication and passion can accomplish. Maybe you've heard of her as the girl who can fit 4 years of trash in a mason jar, at least that's the article that introduced me to the Trash Is For Tossers blog and Youtube channel. I'm obsessed with her company, Package Free Shop and wish they had one in California but... they sell online too! Read her post 13 Easy Zero Waste resolutions HERE. 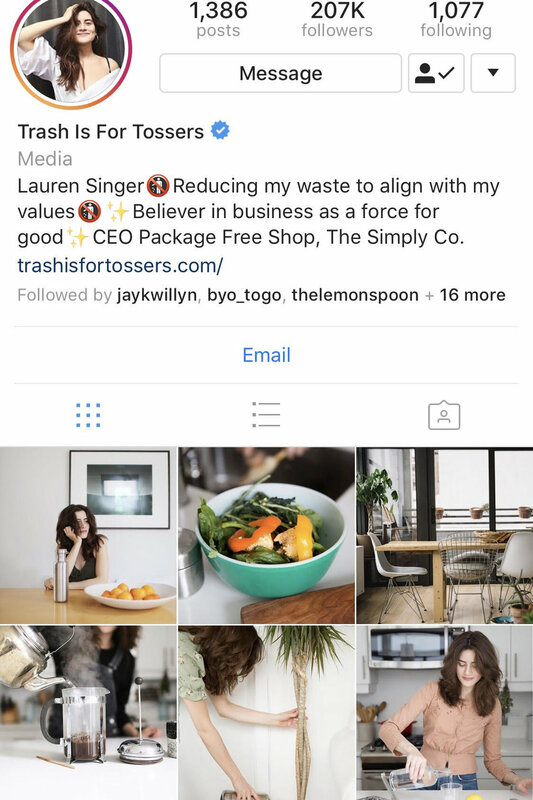 Follow Trash Is For Tossers on Instagram. Bea's lifestyle was actually a part of what inspired Lauren Singer on her zero waste journey! Bea has is the author of a New York Times Best Seller, Zero Waste Home, (on my reading list!) and is an O.G. leader of the movement. I LOVE her posts on how to rewear outfit pieces! Read her post on Throwing a Zero Waste Party HERE. Follow Zero Waste Home on Instagram and Youtube. Andrea's insightful captions on her Instagram feed are truly educational and food for thought. The making of denim jeans uses so much water and resources to make, I love her blog video about how to fix your own denim, Mending Jeans. Sign the Make Less Trash Pledge. Follow Be Zero on Instagram. The thing I admire most about these women is that they approach their passion with understanding of the world. They don't judge where your at in your journey and work hard to educate and give people simple ways to lower their impact. 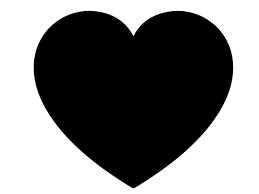 If you know of any other green bloggers to follow, please leave their info in the comments so I can check them out!